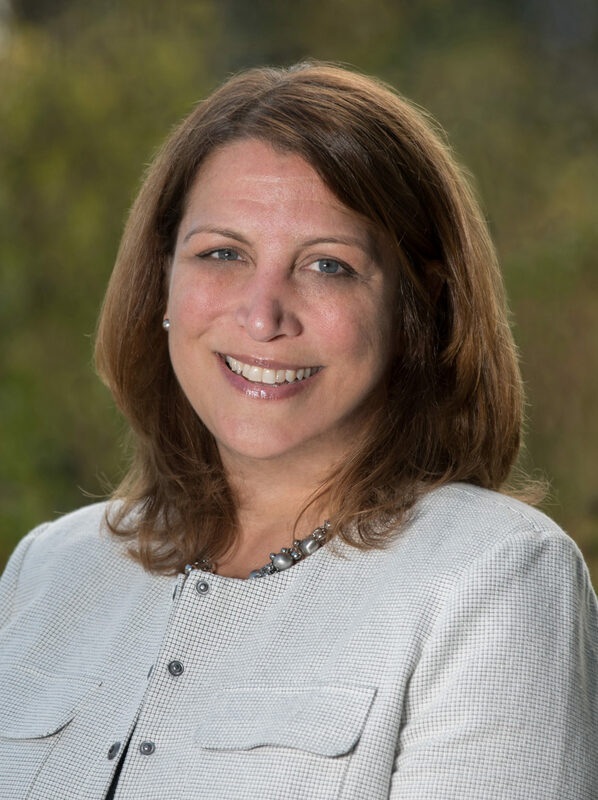 Photo by Jamie Bartosch/Suburban TravelingMom A TravelingMom of another species! 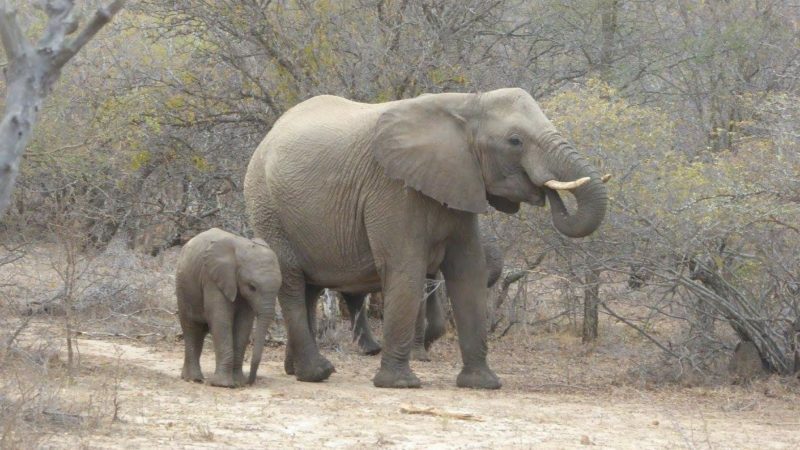 You'll see dozens of baby elephants and other animals while on safari in South Africa. Maybe you’re looking to check “African safari” off your bucket list. Maybe you want a big trip to celebrate a milestone. Or maybe, like this writer, you’re traveling with a parent who’s had health struggles lately and wants to take one more big, memorable trip while she’s still physically able. See why Suburban TravelingMom says “Go to South Africa!” and lists 7 awesome things to do while you’re there. 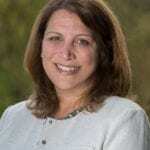 A TravelingMom of another species! 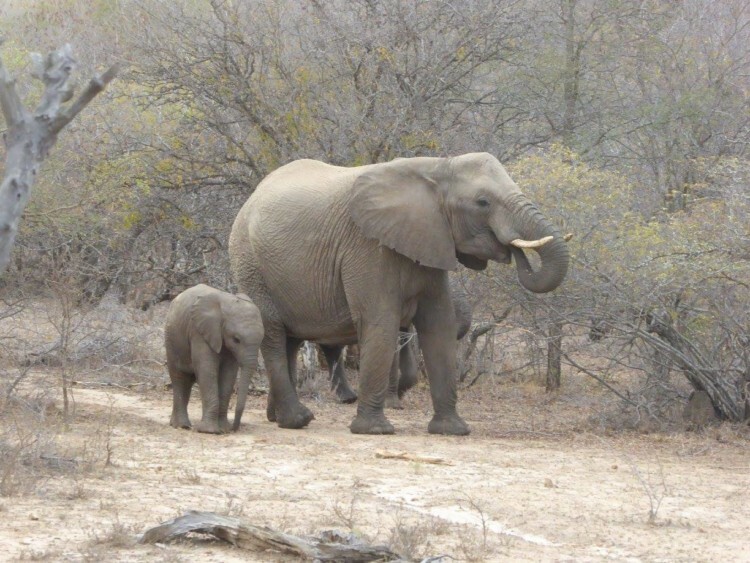 You’ll see dozens of baby elephants and other animals while on safari in South Africa. South Africa is a phenomenal vacation, but let me be honest with you, getting there is expensive. The flights are pricey and long. You’ll need shots and malaria pills before you travel. But it is worth every hour in the plane, every injection, and every dollar you’ll spend. It’s an incredible, remember-for-the-rest-of-your-life vacation. Right now is a great time for Americans to visit South Africa because the U.S. dollar remains so strong. Once you get there, everything is a bargain. For example, during our visit in July 2016, dinner for three at Cape Town’s fancy (and fantastic) restaurant, Signal, in the Cape Grace Hotel – including wine, appetizers and tip – was just $84 US. But the real reason to go to South Africa is the countless experiences that you can’t get anywhere else in the world – a mix of culture, history, natural beauty, and phenomenal wine. Plus, of course, the animals. You’ll have many pinch-me moments, like standing on a beach with hundreds of penguins, watching a herd of wild elephants walk right in front of you, or dodging pesky baboons. It’s also an excellent travel destination for every generation, because it’s not a physically difficult trip (aside from the long plane ride). My 13-year-old daughter, my 75-year-old mom and I did everything together. Everything was easily accessible, and that includes our rides on a cable car, helicopter, open-air Land Rover, luxury train, and boat. South Africa is a good “Intro to Africa” place for Americans. Everyone speaks English. The large cities are very Westernized, with KFCs and Starbucks (don’t go there, though). The touristy area where we stayed in Cape Town, the V&A Waterfront, is a series of malls that doesn’t feel very African. And yet, just a few miles away, is Nelson Mandela’s jail cell, enormous apartheid-created shanty towns, gorgeous beaches – some filled with penguins – and the scenic Table Mountain hovering behind. We blessed the rains down in Africa. We booked our trip through Giltedge Africa; I can’t say enough good things about the company. The luxury tour operator is a delight to work with, super organized, and gave us something not all tour operators do: balance. During our 12-day trip, they didn’t overpack our schedule. 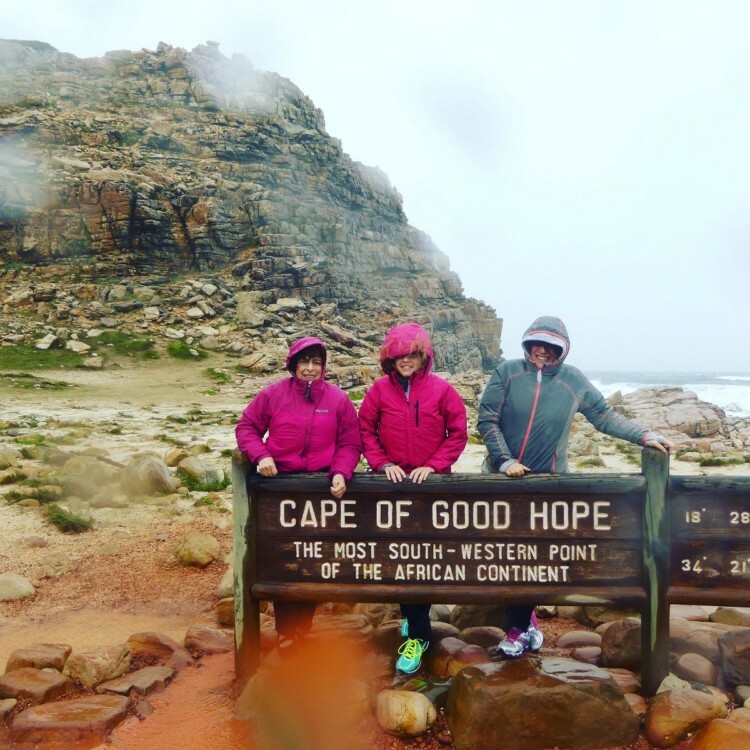 We visited all of the “must-sees” – including a popular photo op by the “Cape of Good Hope” sign. But they built in down time, a great mix of activities, and gave us an outstanding private guide (ask for Samson!). This was everyone’s favorite part of our trip. For roughly $90 per person, we spent an hour interacting with a massive, gentle elephant named Jabulani. 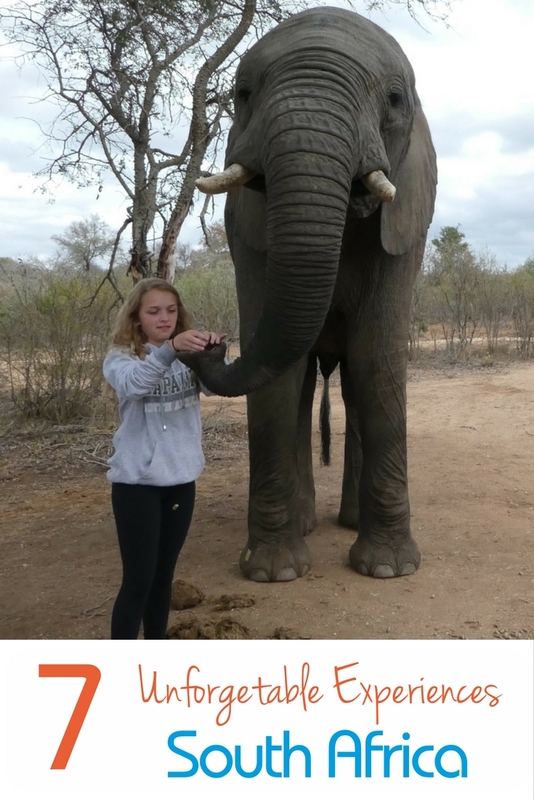 As the handlers taught us about him, we fed Jabulani by putting food into his trunk. We also touched his body, tusks, and tongue (you stick your hand in his mouth! ), and the bottoms of his exceptionally soft feet. They even brought out a baby elephant, which for safety reasons, you couldn’t interact with as much. But dang, was he cute. 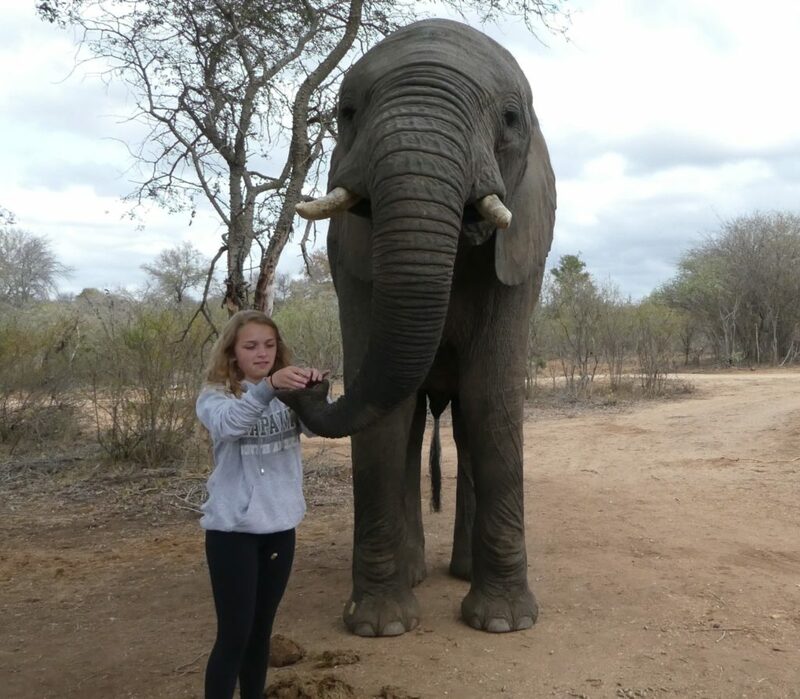 You get to feed and interact with elephants at the Elephant Experience in the Kapama Southern Camp in South Africa. Happy feet! Hundreds if not thousands of penguins hang out on Boulder Beach, a gorgeous beach with giant boulders along the shoreline. The penguins are afraid of humans, and will walk away if you approach them. But they are all over the beach (there’s a marked-off area where most congregate). We found even more while climbing over the boulders. Take the wooden walking path along the beach, and you’ll find dozens more hiding in the plants. So cool! 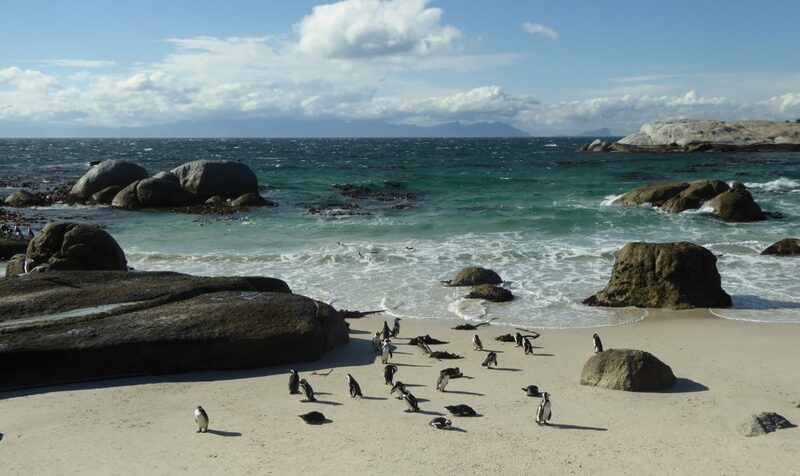 Hundreds of penguins hang out at Boulder Beach in Cape Town, South Africa. When you think about a trip to Africa, this is what comes to mind – and it’s ah-maze-ing. The game drives are before sunrise, and then again at dusk, but it’s worth losing a little sleep it to see herds of wild animals in their natural habitat. We didn’t see a “kill,” which is a safari highlight for most people, but I was secretly happy we didn’t. What we found surprisingly interesting was the wide variety of gorgeous birds. The African sunsets were spectacular, so each night ended beneath a sky full of stars, including the easy-to-spot Southern Cross (cue the Crosby, Stills & Nash song!). You get up close to the wild animals during safaris in South Africa. Because of the strong U.S. dollar, a 30-minute ride for three people on Sport Helicopters, at the V&A Waterfront, was $430 – a bargain compared to what you’d pay for a helicopter ride in the U.S. The ride took us along the gorgeous, mountainous Cape Town coast, past the president’s estate, over the mountains – absolutely stunning. 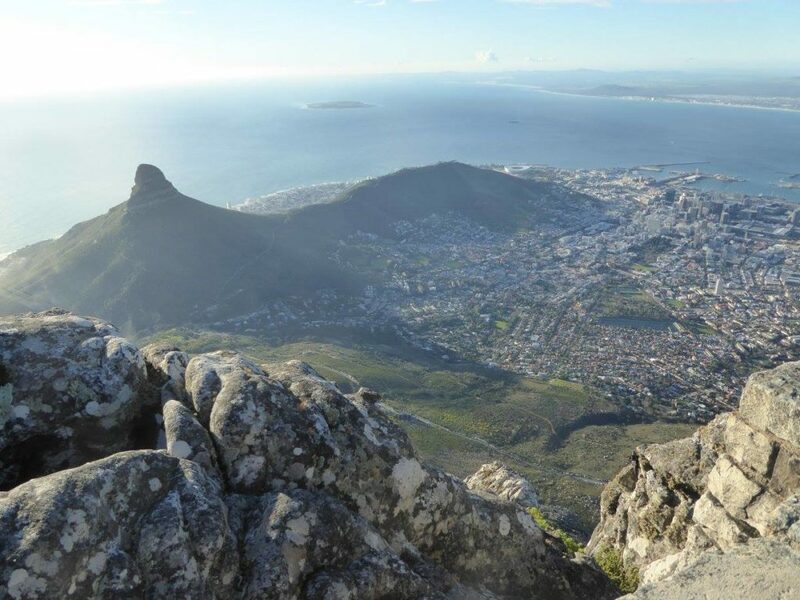 A helicopter tour of Cape Town, South Africa offers incredible views of the south coast of the African peninsula. While this was not my 13-year-old daughter’s favorite activity, my mom and I found it fascinating. Our tour guide was a former prisoner who knew Nelson Mandela, so we heard a living history as we peeked into his tiny cell and saw the rest of the prison. It’s shocking that this all took place during our lifetimes. Learning about Mandela’s life and beliefs is essential to any trip to South Africa, and this is a great place for that. Warning: the 20-minute boat ride over can be a bit choppy. 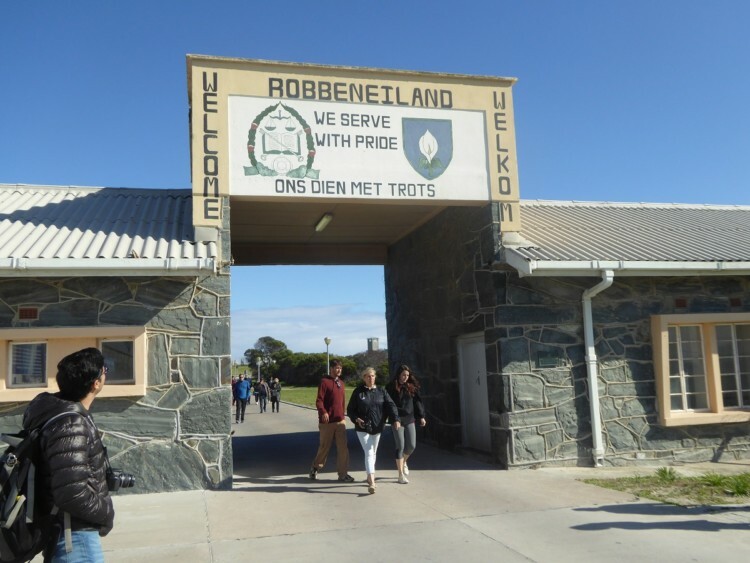 The entrance to Robben Island, the prison where Nelson Mandela was held for nearly two decades. A “township” is a very poor area of town with rows of dilapidated homes made of scrap materials. 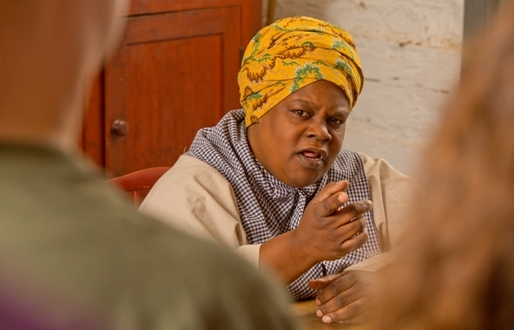 They play an important role in the country’s history and struggles with apartheid. Langa is the oldest township in Cape Town, and it’s important to see it because it’s how many South Africans live. I felt a little uncomfortable at first, being three white, camera-toting women in this extremely poor all-black area. I didn’t want the people to think we viewed them as freak attractions. I just wanted to meet and talk with them, and learn about their lives. Giltedge arranged for a 29-year-old man who used to live in the township to take us around, introduce us to people, and answer questions. We sat in two of the tiny houses (including his grandma’s) and talked to residents. We sat in someone’s “living room” with a cardboard box floor and broken furniture. We walked past people cooking sheep’s heads, which are sold as street food. And we watched some children dance for us, handing out small gifts we brought afterward. I’ve never seen people so happy to get a pencil and a piece of Jolly Rancher candy. Such a powerful experience. I’m not the only one who thinks so. Read about Ageless TravelingMom’s experience at a township. 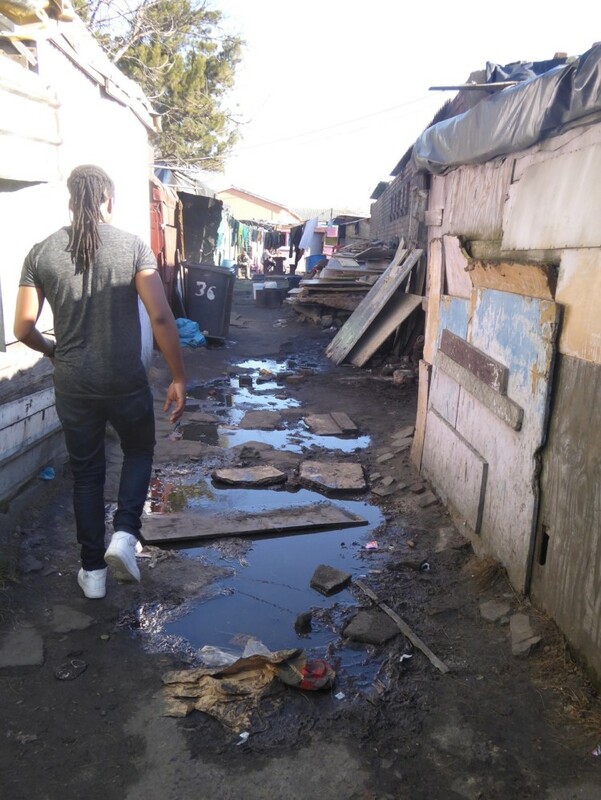 A tour of Langa Township shows what life is like for many of South Africa’s poorest residents. This luxury train, which we took from Cape Town and Johannesburg, ain’t no Amtrak. On the Blue Train, you get a private room with two comfortable beds, your own bathroom and shower, and a butler who will bring you anything you want. You just get to sit with a glass of wine and a book and roll past the gorgeous African landscape. My daughter saw a flock of pink flamingos out her window. There are dining cars, where you have to dress up for dinner (gourmet food served on white tablecloths), and lounging areas where you can chat with the other passengers. I wouldn’t recommend a train for more than two days, because there’s nothing to do but eat and sit. But it’s an incredible experience. TravelingMom Tip: Snag the seats in the back of the last car, where there’s a full window with a great view. 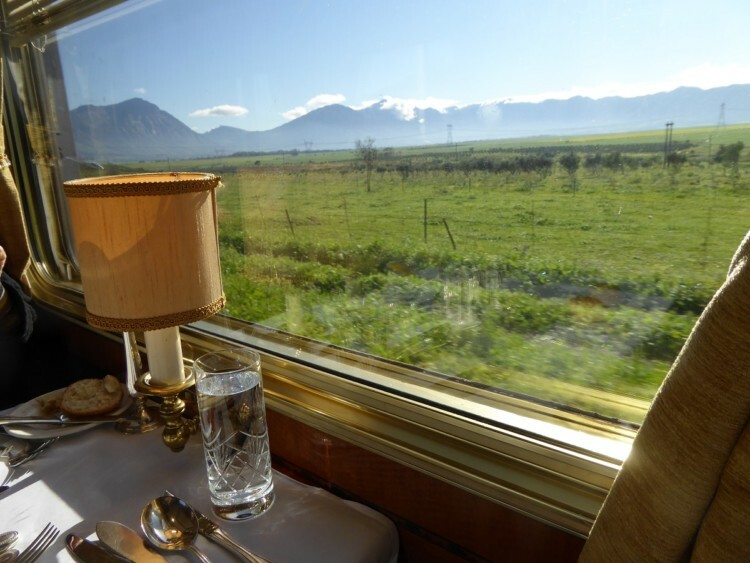 A view from the dining car of the Blue Train, a luxury train that travels across South Africa. Start your trip in Cape Town, rather than Johannesburg. Cape Town is safer, more beautiful, and more family-friendly than “J-burg.” It also gives you a chance to get acclimated to Africa, rather than just starting your trip with safaris. It was a long trip from Washington D.C. to Johannesburg on South African Airways, but there is a connecting 2-hour flight to Cape Town. Take it. Be aware that immigration in Johannesburg is VERY slow. Be prepared to be aggressive and ask people to let you cut in front of them if you’re in danger of missing your connection. Dress warmly if you go in summer. The seasons are opposite, and 50 degree winter weather in South Africa feels colder because it can be rainy and very windy (especially along the coast). Bring a good raincoat, and layers of clothing. Check out more TravelingMom.com reviews of South Africa from Philadelphia TravelingMom. Have you been to South Africa? Share your experience with us! Thank you for sharing this interesting article Jamie. We are delighted to read of your experience at Kapama and hope to be fortunate enough to welcome you back to Kapama soon! Thanks so much! We loved our time at Kapama, and hope to return one day! 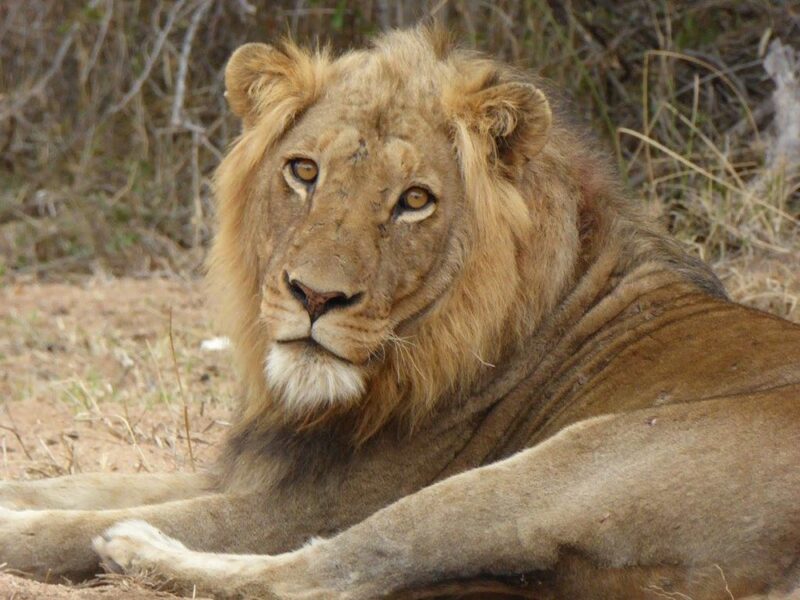 Thanks very much for sharing this informative and useful tips and places of Safari destination of Africa like Kruger National Park,Boulder Beach,Elephant Interaction of Kapama Southern Camp. It is really nice and definitely this information will help to all family who are planning for have a vacation . Once again thank you very much for this lovely tips about Travels.